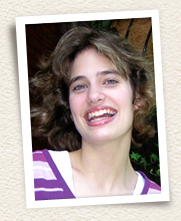 Grace was born in 1988, and diagnosed with autism at the age of five. Grace showed an interest in art from an early age. Over the years, her love for artistic expression has evolved from a fun pastime to a blossoming career. Grace’s strong sense of spatial design was evident by the age of three: she would accomplish 100-piece jigsaw puzzles. In fact, she even assembled puzzles using only the reverse, blank side, putting the pieces together based solely on their shape. Grace’s early years proved challenging for her and her family. A year after her diagnosis of autism, she developed autistic rage. When other medical avenues proved unsuccessful, Dr. Joseph Huggins’ Diagnostic and Treatment Model identified the appropriate treatment. Grace and her family are indebted to Dr. Huggins of Don Mills, Ontario, whose care has given Grace more control, and allowed her and her family a better quality of life. As an individual affected by autism, Grace experiences heightened sensory perceptions. She is believed to have Synesthesia, the intermingling of senses, where music has colour, and colour has smell. Grace’s world is full of colours, sounds and smells, and she sees colour in people, emotions, music, months and days of the year. This sensory acuity is also visible in her art, as she combines patterns and textures with strong use of colour in ways that reflect both the chaos and beauty of her experiences of living with autism. Grace was the poster child for the Geneva Centre’s International Symposium on Autism in the year 2000. Since that time, she has won several awards for her work, has participated in a number of exhibits, and has sold dozens of original prints in Canada and the U.S.A. Learn about Grace’s art process.